Farewell frizz! 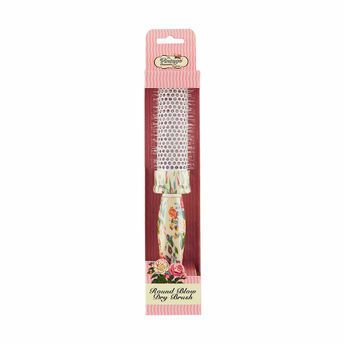 The Vintage Cosmetic Round Blow Dry Hair Brush will give you a salon look with smooth, bouncy locks that turn heads. Not only practical, but pretty with a vintage floral finish. Explore the entire range of Hair Brushes available on Nykaa. Shop more The Vintage Cosmetic Company products here.You can browse through the complete world of The Vintage Cosmetic Company Hair Brushes .